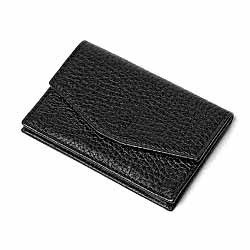 Our range of products include passport leather purse, leather card holder, leather folder and men's leather wallet. Our organization is highly popular in providing Passport Leather Purse to our clients. This purse has been fabricated by using leather of high grade. It is reckoned for its excellent quality and long shelf life. This leather purse is offered in different range to our clients and is customized according to preference. This purse has appealing color combinations and is free from all types of defects. It is ideally suited for carrying passport. Our organization has gained immense experience in offering Leather Card Holder to our clients. This holder is reputed for its excellent quality. It is used for carrying card and is developed by making use of excellent grade of leather which has been sourced from reliable and genuine vendors of industry. This holder has visually appealing appearance and is free from all types of defects. We are also offering customization on this card holder. 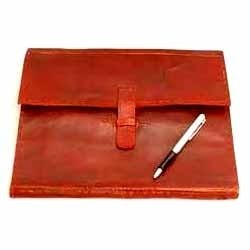 Our organization is widely reputed in offering Leather Folder to our clients. This folder is developed by using excellent quality leather. It consists of different compartments. This folder has captivating design and lightweight property. It is finished in fine manner and is stitched in perfect manner. This folder is free from defects and has smooth texture as well. Most importantly, we are offering this folder at economical price. 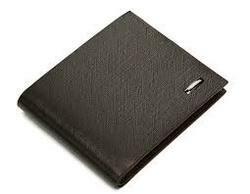 Our organization is hugely popular in offering Men's Leather Wallet to our clients. 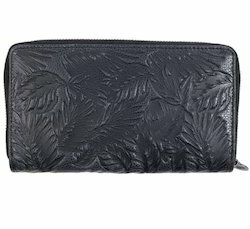 This wallet is used for keeping items such as debit card, money and coins. This leather wallet is developed by experts using an excellent variety of leather. This wallet has long shelf life and is highly attractive. This leather wallet is available in charming color combinations and is finished in seamless manner. We assure timely delivery of this wallet.